“Made with Love for Those in Love” is a statement familiar to Austinites, especially for those who have have shopped for the most expressive statement of their love: a diamond engagement ring. The author of this recognized saying is Calvin Smith III, a talented second generation jeweler who is a master artisan with a laser focus on quality and customer service. Together with his wife Jackie and a fabulous team of professionals, Calvin selects only designer engagement ring and jewelry collections that have the same meticulous craftsmanship and attention to every detail that he puts into his own custom pieces. Coast Diamond is honored to be one of the designer collections offered at Calvin’s Fine Jewelry in Austin, Texas, and we congratulate Calvin’s on being our Featured Retailer of the week. Brides-to-be in Austin are known for their unique style. This is one of the most creative cities in the country, after all, and is recognized as the Live Music Capital of the World. The sophisticated Texan beauties who shop at Calvin’s Fine Jewelry love cowboy boots by Frye as much as stilettos by Christian Louboutin and Manolo Blahnik, and when it comes to engagement ring settings they adore rings similar to what the celebs say “I do” to in NYC and Hollywood. 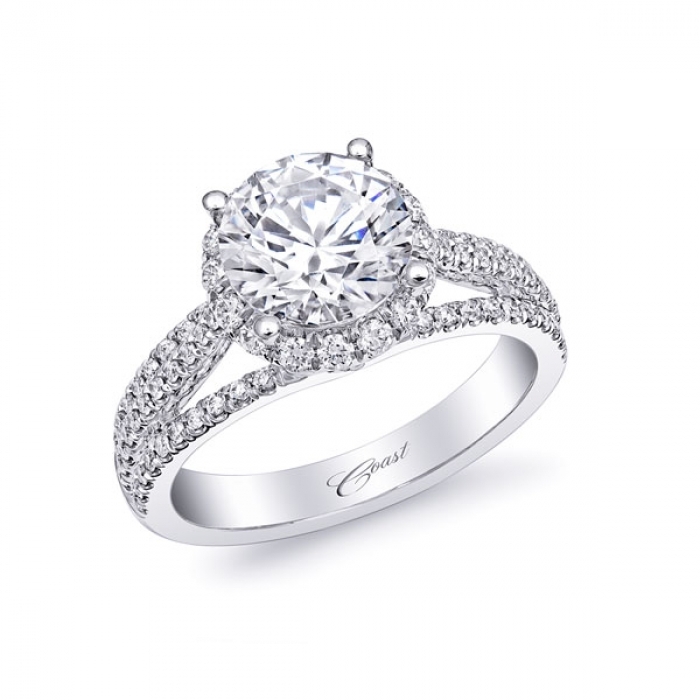 Calvin’s Fine Jewelry has the largest selection of gorgeous and unique Coast Diamond engagement rings in Austin. 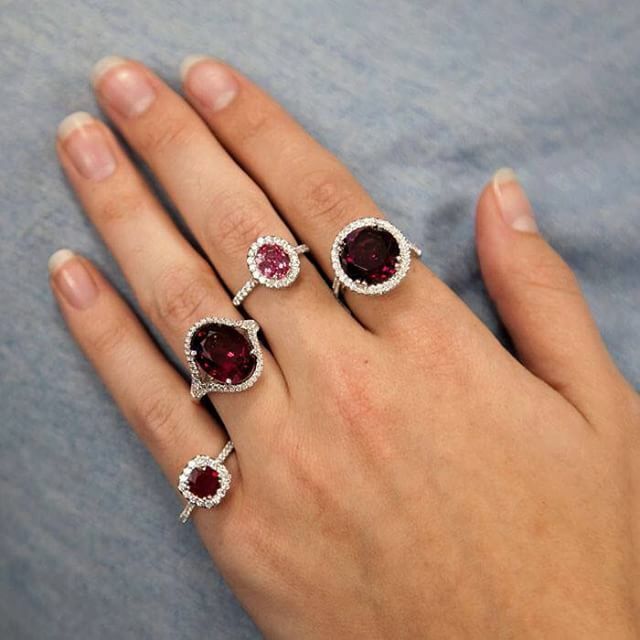 Choose from dozens of styles for any size diamond, or special order a Coast Diamond ring with a one-of-a-kind rare color gemstone. 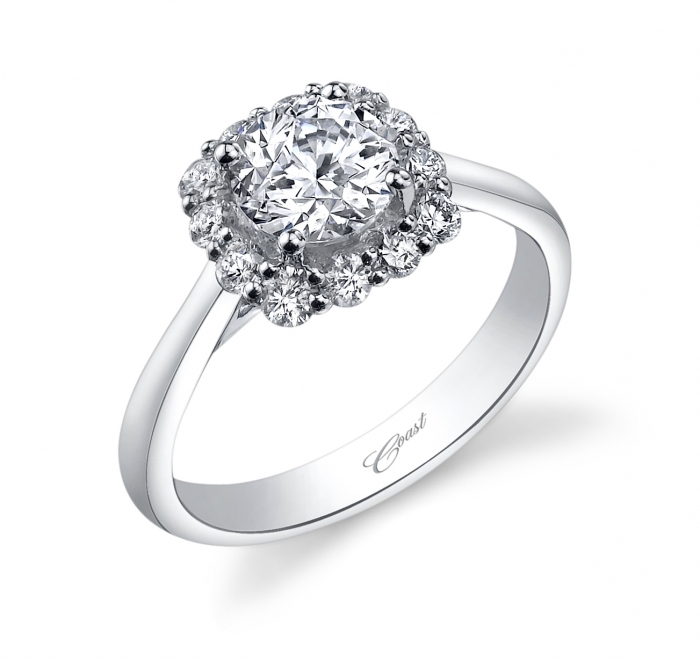 The experienced engagement ring experts at Calvin’s will help you find the perfect ring for your engagement, wedding or anniversary. Follow Calvin’s on Facebook and be sure to visit their exquisite store at 3818 Far West Blvd, #102, in Austin. Call (512) 794-1911 for store hours. Congratulations to Calvin’s Fine Jewelry on being named our Coast Diamond Featured Retailer! A famous jewelry store, in business since 1967, is known as the premier destination where customers can relax and have a truly fabulous experience while shopping for the perfect Coast Diamond engagement ring. This family owned store, Barons Jewelers, is where discerning couples in the East Bay Area near San Francisco, California find the most exquisite selection of designer engagement rings, wedding bands, fine jewelry and watches. We congratulate Barons Jewelers on being named this week’s Coast Diamond Featured Retailer. 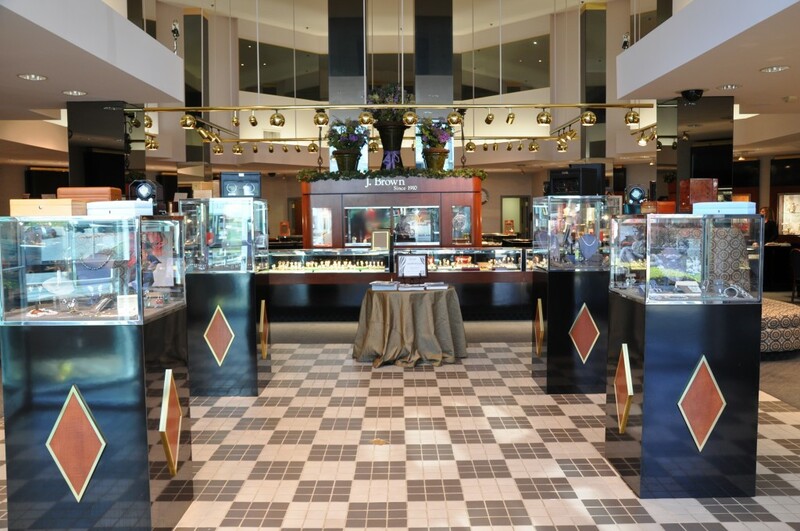 Ronnie Heller is president at Barons Jewelers and gives credit to his father, Bart Heller, for his vision of filling a beautiful store with elegant, dazzling pieces of fine jewelry and turning that dream into a reality with the opening of Barons at Bayfair Mall in 1967. Ronnie carries on that legacy today and continues to enjoy seeing the smiling faces of customers at the new showroom in Hacienda Crossing. His motto is to make each client’s jewelry purchase an exceptional one, and we are honored that Coast Diamond is one of the top bridal designer collections offered by Ronnie and his staff at Barons Jewelry. Barons Jewelers offers over 100 Coast Diamond engagement ring and wedding ring styles and their diamond experts will help you find the perfect diamond shape and carat size for the setting you select. 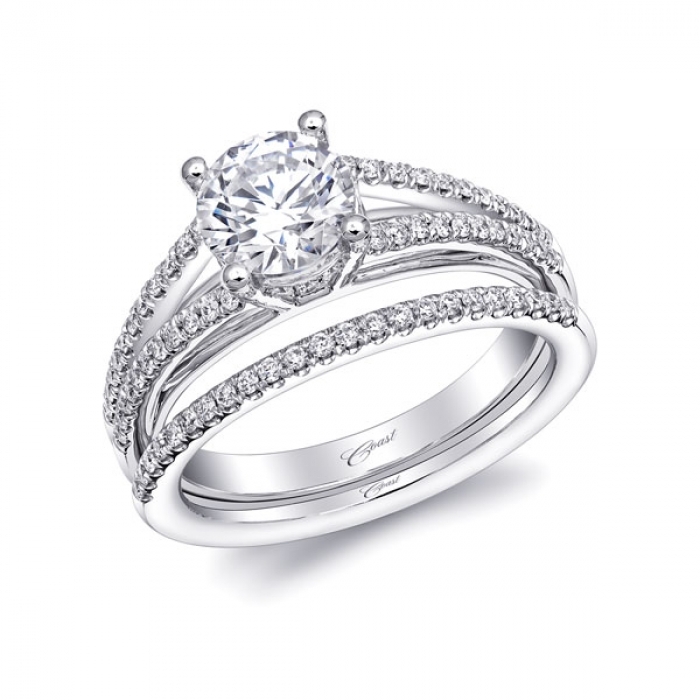 Trending engagement rings include the classic diamond solitaire and the elegant halo ring setting. 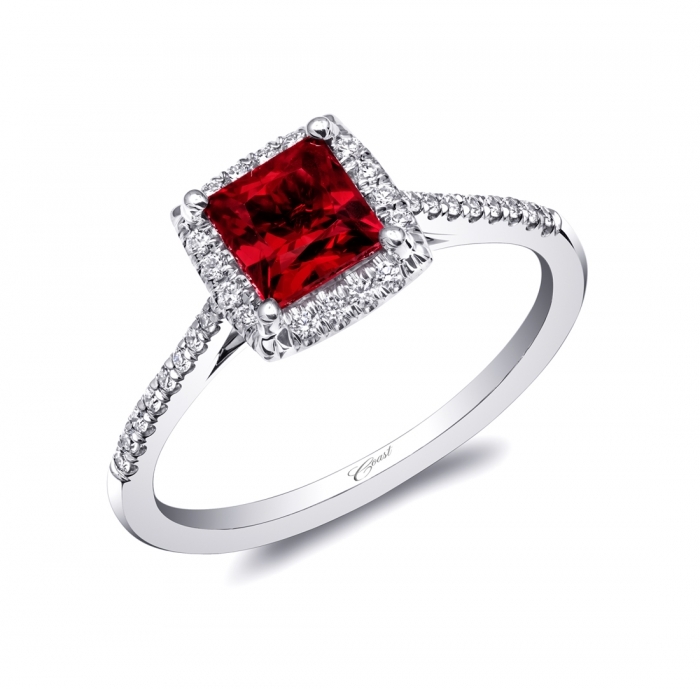 Most rings can be custom ordered to fit any size diamond from 1/2 carat up to 3, 4 or 5 carats. Rings are also available in platinum, white gold, yellow gold and rose gold. Visit Barons this month to find the perfect Coast Diamond ring that expresses your unique love. 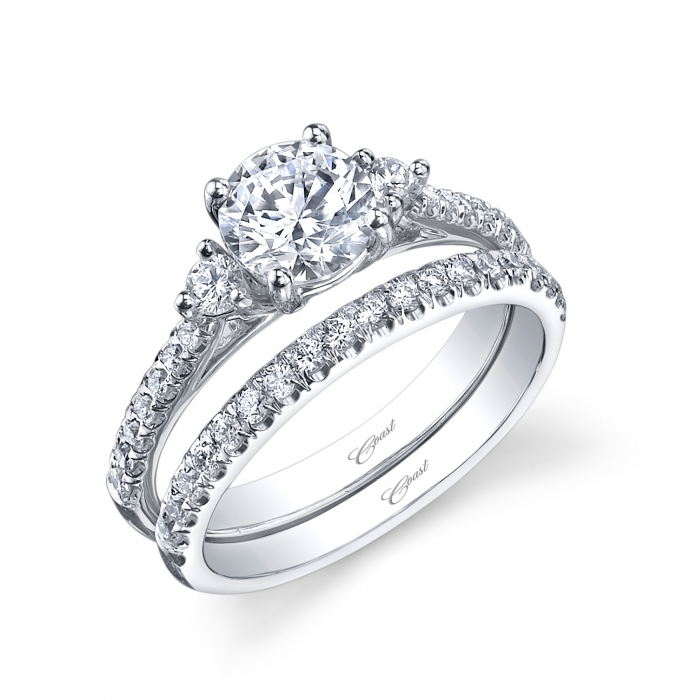 Contact Barons for store hours and to make an appointment to try on Coast Diamond rings. Congratulations to Ronnie Heller and the entire staff at Barons Jewelers on being named our Coast Diamond Featured Retailer! Follow Barons Jewelers on Facebook, Instagram, Google+ and Pinterest! If summer is the season when you put on your most comfy pair of blue jeans with a casual slouchy shirt and Sanuk flip flops (you know: the sandals made from actual yoga mats that you never want to take off – pure heaven! 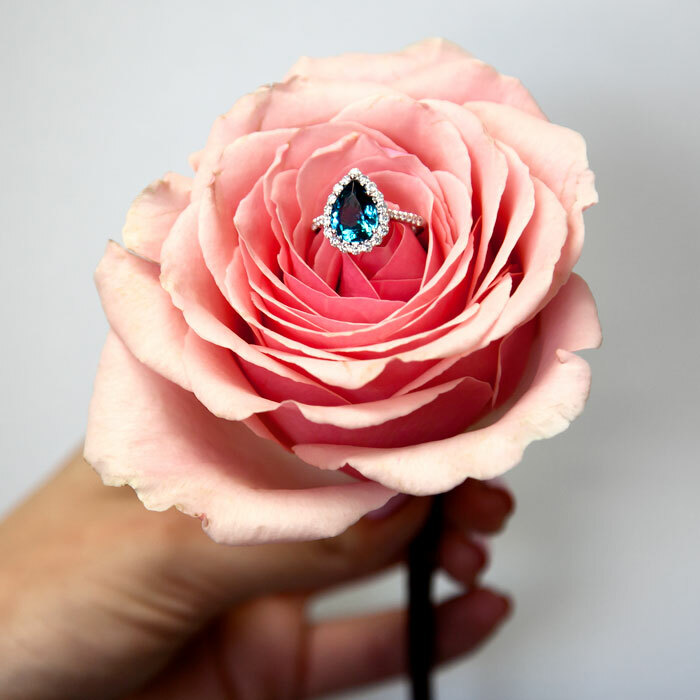 ), we’re quite certain you’ll fall in love with this extraordinary blue Indicolite tourmaline engagement ring. The stunning pear-shaped blue Indicolite pictured above is 2.52 carats in a halo of brilliant diamonds and set in 18K white gold. This rare ring, ideal for a summer engagement, a magnificent “something blue” for a wedding day gift or a romantic symbol to commemorate a milestone anniversary, is the final ring in the Coast Diamond “Five Rings of Summer” series. Didn’t catch the first four Coast Diamond Five Rings of Summer? See them here in Love, Coast blog posts. What suburb of Baltimore, Maryland is named for American soldier and explorer Zebulon Pike? Pikesville, home to over 30,000 residents, Ner Israel Rabbinical College, Maalot Baltimore: Women’s Institute of Torah Seminary, the headquarters for Maryland State Police and also third generation jewelry store J. Brown Jewelers. Couples in the area know that J. 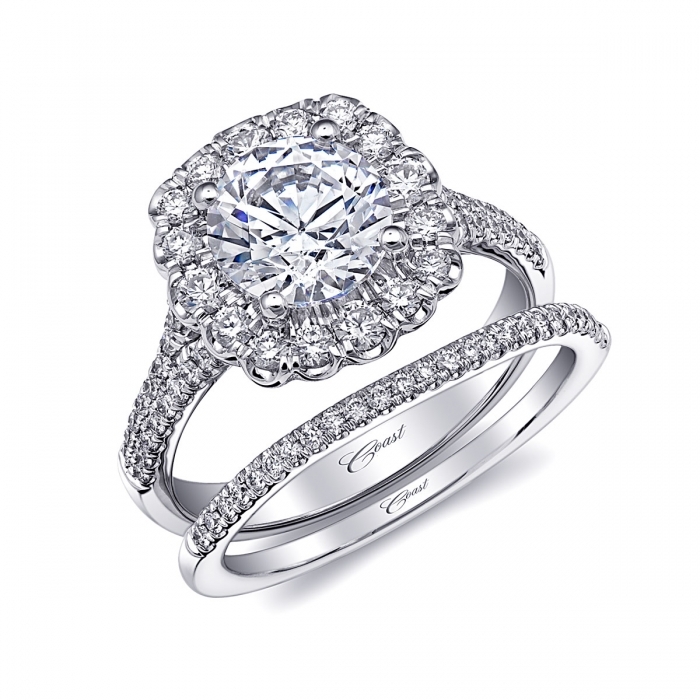 Brown Jewelers has the widest selection of engagement rings and are big fans of Coast Diamond designer rings. J. 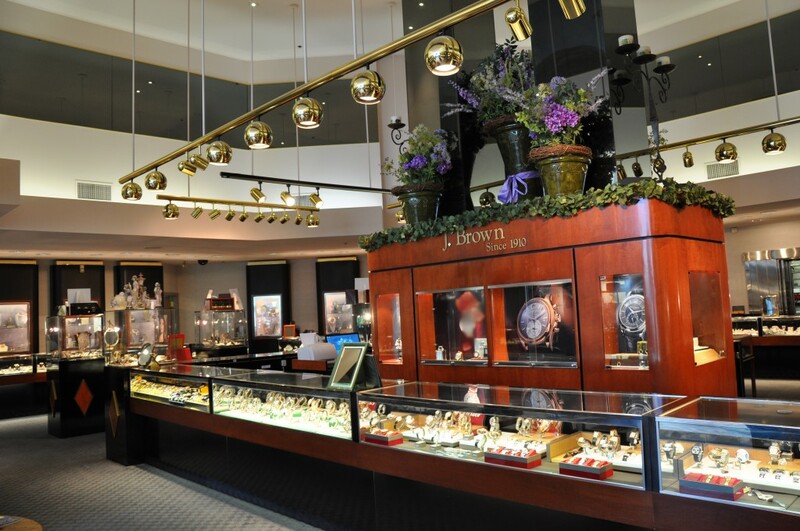 Brown Jewelers’ focus on customer service is why they’re our Coast Diamond Featured Retailer. Follow J. Brown Jewelers on Facebook and Instagram to see the latest Coast Diamond engagement rings and wedding bands. Contact J. 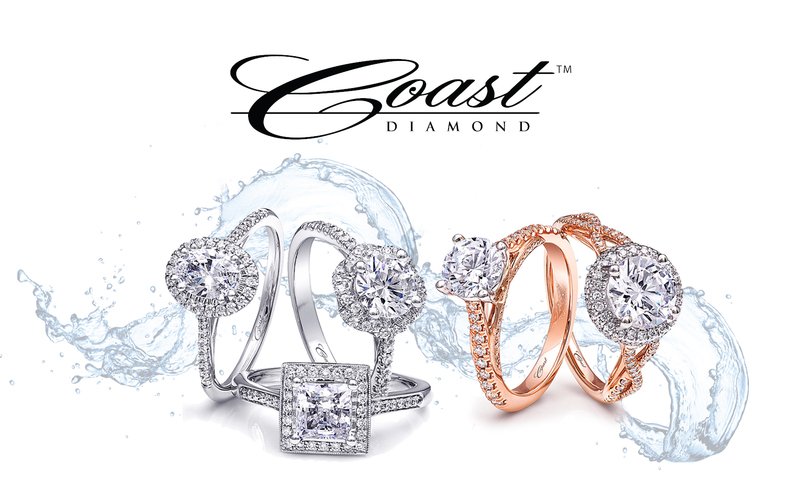 Brown Jewelers to make an appointment to try on Coast Diamond styles or to find out about upcoming Coast Diamond events.